While much attention will be on England’s final RWC warm-up game against Ireland at Twickenham, clubs in the National Leagues kick off their season on Saturday. 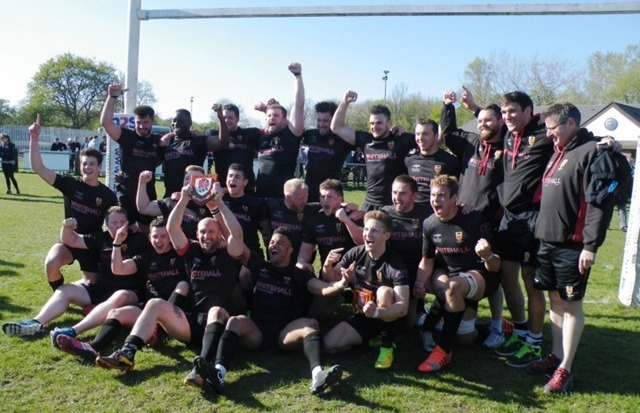 There is a different look to the Eastern Counties teams in the National Leagues this year with Bury St Edmunds joining Cambridge in National Two South and Shelford dropping to National Three London where Colchester will also play. This is new ground for both Bury St Edmunds and Colchester with neither having played at their respective levels before. Bury have risen quickly through the leagues over recent years, with their policy of attracting players to the Haberden from home and abroad serving them well. The club’s management should be praised for being open about their semi-pro status, something many other clubs are reticent about admitting, while trying to develop home-grown players. Both Bury and Cambridge recruited heavily in the summer, Bury managing to attract back a few of their former youth who had moved to other clubs to play, but I can’t help wondering if we will eventually see the top local sides becoming like our football clubs, with success going to those who have assembled the best squad of players rather than those that have brought on their own through their youth sections. Cambridge’s recent financial problems are well known and the big cut in the playing budget was primarily responsible for their relegation from National One at the end of the 2012/13 season, but the club has consolidated and finished a respectable seventh in 2014/15. Cambridge, like Bury St Edmunds, recruited well and players have come to Grantchester Road from around the country, from relegated Shelford and ironically from Bury too. Shelford had a disappointing season having spent several years in National Two South and I am sure that they are confident of bouncing straight back. However their Colts team, having previously won the Eastern Counties Cup four times in a row, could not even get out of the pool stages last season which must be a worry for a club that is usually very strong in this area. Club stalwart Rory Finlayson has taken over the role of head coach after many years of masterminding the Colts’ successful run. Colchester had a remarkable season in 2014/15 with the First XV winning their league scoring more points than any team in the country, the 2nd, 3rd and 4th XVs all gaining promotion and their Colts winning the Eastern Counties Cup. This season a fifth team will be entered into the leagues, something very few clubs manage to do. The most significant statistic for me is that last season 36 players were used in the first team and of those, 30 were products of their youth section. As with most clubs that have some success they are accused of paying their players but not only do they play for the joy of it, the players have to pay membership subscriptions and match fees too. Now that Colchester is at Level 5 in the RFU structure where the majority of clubs reward their players, let’s see if they are able to survive while sticking to their policy of using predominantly home grown talent. Saturday sees Cambridge and Shelford with away games at Dorking and Wimbledon respectively, but if you want to see some league action head to Bury St Edmunds who play Bishops Stortford or to Colchester who take on Gravesend. I wish our National League clubs every success and I hope to be able to get to watch all four of them play during the season. I should also mention London One club North Walsham who for many years (17 I think) played in National Three South and were comfortably the leading club in Eastern Counties. It was effectively a Norfolk side as the best players from the county would aim to play there and if they didn’t make the grade they went back to their own club. It was a model I admired but it was a bitter irony that at the end of the season when they announced they were going professional, they were relegated. The squad is still predominantly local with Nick Greenhall in charge and they also start their season on Saturday with a tough fixture in West London against CS Rugby.